Another highly compromised VR remaster, that offers one of the best open world experiences so far and yet still manages to feel deeply flawed as it does so. Fallout 4 VR is certainly a neat way of experiencing the universe and there are times where suddenly being attacked by something can be terrifying, yet I can't see myself playing it for long periods of time. 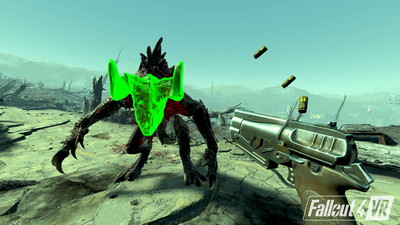 Fallout 4 VR does not go beyond an average vote because of a VR implemented mostly in an approximate way, even if the overall effect remains considerable.